60 micron hole laser drilled in 200 micron thick stainless steel material. 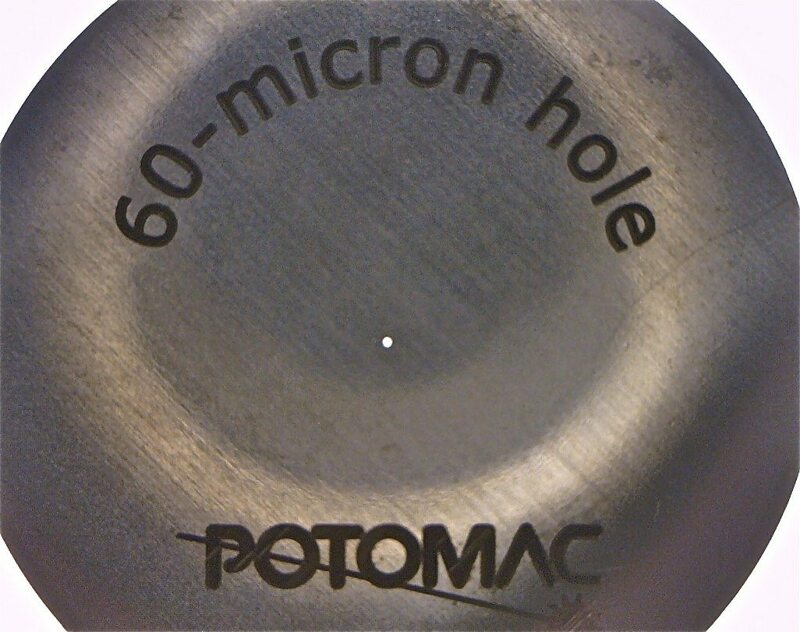 Potomac can laser drill apertures with holes as small as 1 micron. In addition parts can be custom laser marked with information, logos, etc. Call or Email us today to discuss you laser drilling and marking applications.